While I had uploaded my presentation which I made for TEDx Pune, I received comments from some of my friends that they couldnt get the entire flow of thought as my presentation had only pictures and nothing else. I hate to put text in ppts. I want the slides to be the connecting dots for the story that I wish to narrate in my presentation. As I couldnt get the video of my presentation, I am putting the text of what I spoke based on what I remember as of now. let me put it in context with my country India. In the Country India, there are two religions. One of them is Films. As I am a religious person, I shall use movies as a story board to set the context. 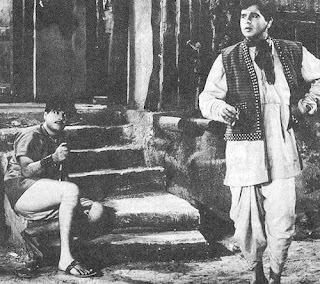 This movie is one of my favorite movies of the early 60s.Naya Daur was one of the critically acclaimed movies of early 60s. 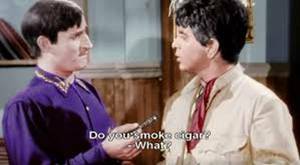 It was made by one of the legends of Indian Cinema, Mr. B.R.Chopra. Naya Daur defined the Indian zeitgeist post independence where Industrialization is slowly beginning to creep in. 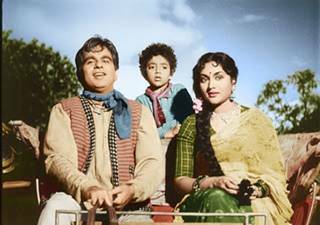 Dilip Kumar plays the role of an earnest, good-hearted TangaWallah,one who earns living from a transporting people through horse-carts. The livelihood of this Tangawallah community is threatened as the rich landlord of the movie begins the operation of a bus-service in town. Dilip Kumar begins to protest against this and gets into a personal tiff against the landlord. They finally decide to settle the scores by organizing a race between the Tanga and the bus. This movie in a way, symbolizes the wide-spread resistance in India to adopt the industrial age model of development. Gandhi expressed the same sentiment when he wrote that “Industrialism is going to be a curse for mankind"
After much hue and cry, India was forced to open the doors of the liberalization.in the year 1991. The Indian miracle happened, thanks to the IT revolution and the ebullient Indian spirit discovered the entrepreneurial spirit within. However, by the first decade of the millenium, the whole world woke up to the limitations of the Industrial Age model and the global financial crisis of the year 2008 reinforced the firm belief that its time we resetted the global economy and build a new one based on new paradigms. Before we talk about "Go Open to Save the World", we need to talk about what exactly do we mean by open. Now, lets imagine I have two books in my hand. On my left hand is the classic Indian Epic, Ramayana and on my left hand side, I have the famous booker-prize novel, "The White Tiger". Ramayana is a brilliant example of Open Source if you look at it. While Valmiki wrote his version of Ramayana, several milleniums ago, depicting Ram as an ordinary man with flaws, Tulsi Das rewrote the same Ramayana in a more hagiographic manner, deifying him. Few hundred years later, in a little vilage down south, Poet Kambar wrote his own version of Ramayan. Go to Indonesia or Nepal or Thai Land.. You are most likely to read a different version of Ramayana with an entirely different context.suited to the local milieu and beliefs. These are some of the interesting examples of Open Source reaching out from its familiar terrain of the World of Bits. Loncin Cycles in China opted the Open Source, collaborative model in the manufacturing of Motor Cycles. Burda Style adopted Open Source in the making of fashion garments. While the Cloud Computing fraternity has come up with a barrage of acrnomyns which are ending with "aas", denoting " as a service ( Remember SaaS, PaaS, IaaS etc), why dont we bring about everything else in the world as a service. The main ideas is from a subtle shift in perspective wherein it is far more sustainable to provide illumination rather than sell light bulbs. As services are produced and consumed in tandem, they are the most ideally suited model of value transmission in this new Era. In this connected age, we are now beginning seeing products and services as extreme ends of a continuum wherein products are serviced and services are productized. Hence its far more easier to bring about this shift. Technology has now made it possible to provide services on demand. Hence adoption of a services model would be as highly efficient as the Products Model and it would also serve to be a panacea for the environmental concerns due to its minimal production requirements, arising from its ready availability. If you remember the competition which I talked about earlier in the movie, you wouldnt believe if I tell you that horse cart finally wins in the race against the Bus in the movie! I come from the state of Rajnikanth where impossible can happen. This whole shift might look quite unnerving and daunting at the first glance, as it would require altering the entire production dynamics and would require enlightened understanding of the value that is brought about by a flow of services. However improbable this may seem, this is bound to happen, as we move towards building a sustainable planet for the welfare of the future generations. 1. Starfish and the Spider, and the unstoppable power of leaderless organizations - tracks the history (back to the Apaches!) of open-collaboration movements, its core ideas and impact on the future. My own Talk (trial!) was inspired by this book. And there's a documentary.. did you know that there's a football club in UK entirely owned and run, with even playing order decided, by online fans? Or about couchsurfers? Thanks Nikhil for this exhaustive reading list. I shall check this out. I really appreciate this warm gesture!